An 8 row vent brush with moulded ball tipped quills. Beautifully soft on your hair and scalp. Vented brushes speed up drying time as hot air can circulate directly through the brush and into the hair layers. Ball tips help protect the scalp from any scratching or damage to the hair follicles. For use when grooming and styling. 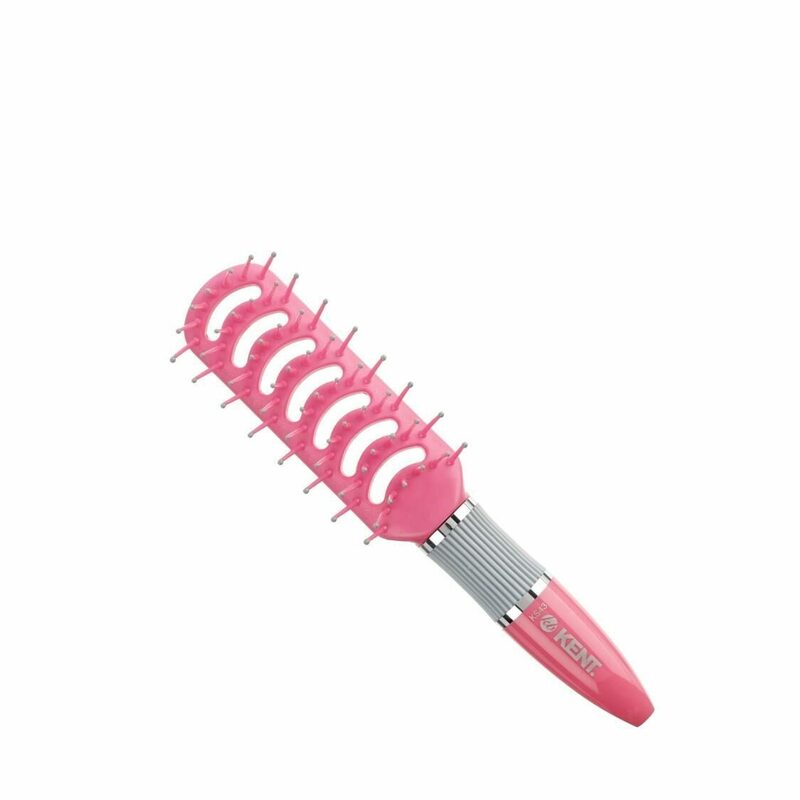 The entire head of this little brush is all one moulding which gives it a beautifully soft flexy feel that will glide through your hair with total ease.